awesome feature. i think this will be way better than using the ST presence sensor. question on geofencing. my son’s school is within the 250m radius and he is not showing as “away”(not home). 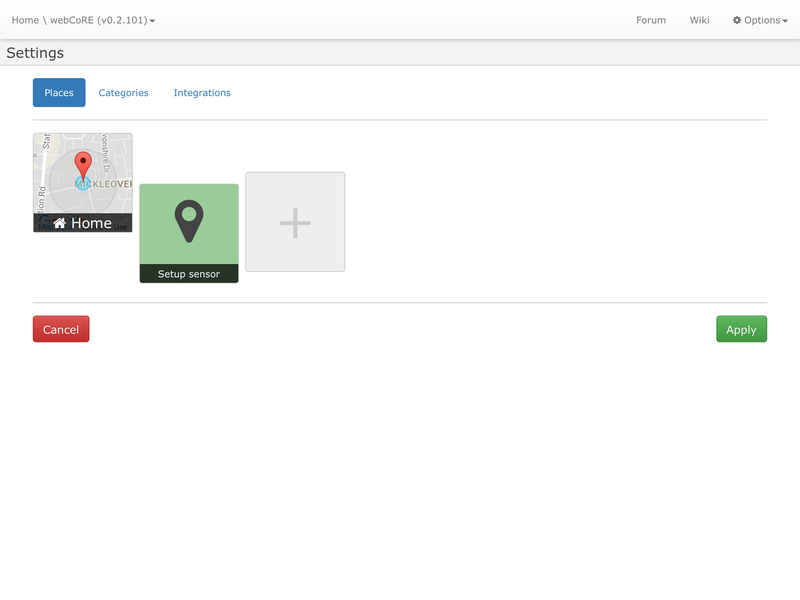 i have marked “my home” on my webcore app and tweaked it on the webcore dashboard. question is, how will this work with my son’s webcore presence sensor? do i also add “my home” for him? 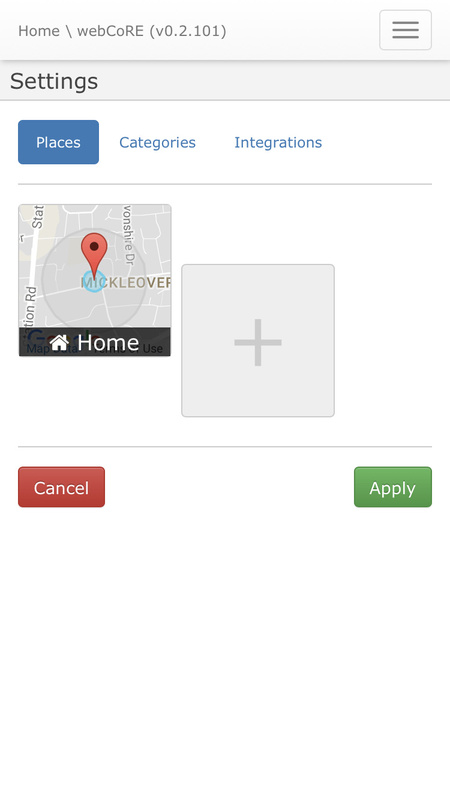 going through the settings > places on his webcore app, i already see the “my home” that i saved, so im thinking it also has the “tweaked” geofence distance, but obviously this is not the case. thank you much for your kind help. Question: How often does location update? I seem to be having issues lately because piston’s aren’t firing timely when I arrive home (tripping the alarm). Every 500 meters travel or 5 minutes, whatever comes first. Though crossing a geofence causes an instant trigger. question is, how will this work with my son’s webcore presence sensor? do i also add “my home” for him? 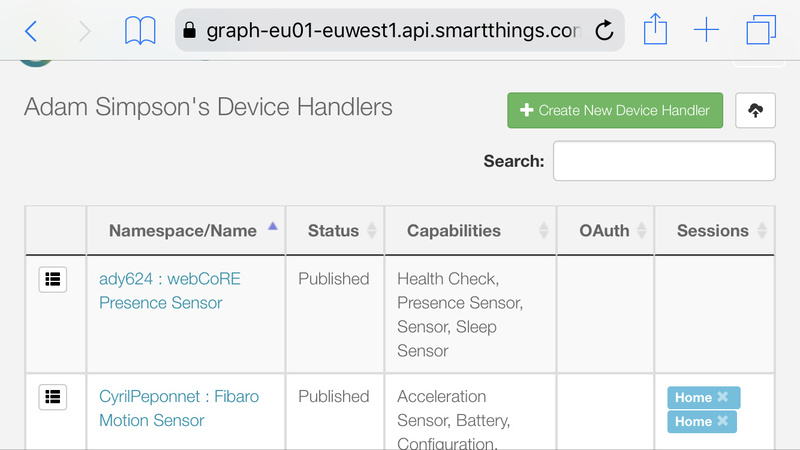 All webCoRE presence sensors share the same locations setup in the settings… you just need to go into settings using each mobile device the once, to generate the presence device in ST. If school is within 250m of Home then you’ll be a bit stuck I’m afraid… the smallest leaving radius allowed is 250m!! Perhaps you could offset the centre of the radius to bring the school outside of the leaving radius. where are you seeing ‘–’? Check you are still signed into the dashboard on both presence apps maybe? I’m sorry I don’t quite follow. I’m having a nightmare with this. I’ve installed the device handler and gone to the WebCoRE app but when I add my location, I don’t get the green sensor button? What am I doing wrong? I assume you authorised the app to see location (twice if on iOS)? Is that second screenshot taken from within the iOS app or iOS browser? That’s from the iOS app, on my phone. The iOS app on my iPad shows the sensor option. Great… looks like you’re missing the top half of the device tiles but that’s probably just because you scrolled down for the screenshot. Yep, that’s because it’s scrolled. Thanks for your help. Fingers crossed it works better than the ST mobile presence sensor. Trying to add the presence sensor to my hubbie’s iphone but it won’t do anything when I touch the green “Setup Sensor” button in the app. He is on iOS 11.2.2. Have you installed the Presence device handler in the ST IDE? Yes I have and I have my presence setup on my iPhone.